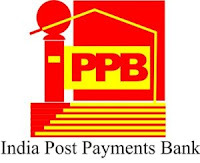 The India Post Payments Bank Limited has released a vacancy notification for the IPPBRecruitment 2018 of 18 candidates at Chief Manager, AGM & DGM posts. The newly offered IPPB Jobs 2018 are undoubtedly some of the most ravishing opportunities, by which they can grab some highly respectable government jobs in an esteemed organization. The department has already started the online application process for its IPPB Manager Vacancies 2018 via its official website. Hence, candidates are highly recommended to submit their genuinely filled IPPB Application Form 2018 before given deadline i.e. 10th July 2018. Furthermore, we are elaborating all the important information related to it via this website. Candidates who have completed Any Degree, Post Graduation or equivalent from a recognized Institute for IPPB Recruitment 2018. Eligible & Interested candidates can apply via online in Official website page at www.indiapost.gov.in IPPB Recruitment 2018. Complete the IPPB Jobs Application Form with the essential data. Take a print out of IPPB Recruitment 2018 online application form.